FN Herstal 5.56 62gr SS109/M855 In Ammo Can $299.99/1000rds+Free Shipping With Ammo Can Deal Purchase! Add this (2) ammo can deal to the cart along with anything else you may want to purchase and your whole order ships Free! Freedom munitions has new 124 grain round nose for 0.1805 a round right now. Free shipping over 99 dollars. 600 rounds with tax factored to 0.195 a round. Use Coupon Code GUNDEALS5 for additional 5% off at Freedom Munitions with no restrictions or time limits. .22 WMR Ammunition Sale ends tomorrow I believe. I know some folks are still looking for .22 WMR ammunition. I found this Hornady .22WMR ammo on Gunbuyer for $9.99 per bx/50. They had a flat rate ammo shipping for $12.99 in a previous email to me but I couldn't activate it for my order. The shipping for my order was still reasonable and since there's no sales tax that's 8.25% savings. I also saw CCI Mini-Mag LR for 6.99 bx/100 so I ordered some of that as well. I have posted the individual links for the ammo because their website sometimes doesn't alway include all the inventory from their several warehouses. They have online chat as well and I have ordered that way in the past I think. puma guy wrote: Sale ends tomorrow I believe. The .22 CCI mini mag ammo is STILL selling for the same $6.99 per 100. Four mags plus 120 rounds ammo to fill them. Today only while supplies last. Will advise if any negatives after some range time. NRA Life Member, NGAT Life Member, NTSA Member, Texas Right to Life donor. They also have the 1200 round deal, 40 boxes of 30rds, on sale for $299.99+Free Shipping That's $0.25 per round delivered. I ordered 2 cases, 2400rds, over the weekend. Best deal I've seen on this with shipping and not having to deal with rebates. They delivered one case already today and the other is supposed to be here by end of day. I don't think you'll be disappointed. It's true NATO M855 penetrator. The IMI (Israel Military Industries) factory was originally set up as a cooperative effort with Lapua so if you reload these are supposed to be great cases for that. Quality brass. Great deal, thanks! Ordered 450 and added a few bucks extra for the NRA. IDK if you would consider this a good deal or not. - 20% off -$27.98 20% off code "CC201820PCT"
= 98.77 for 500 rds or .197 per rd. delivered to your doorstep. sr4440 wrote: IDK if you would consider this a good deal or not. Is the code only for online use? I have only used it for online purchases. Fiocchi 45 ACP 230 gr FMJ $269.80 per 1k rounds with free shipping. =27¢ per round. 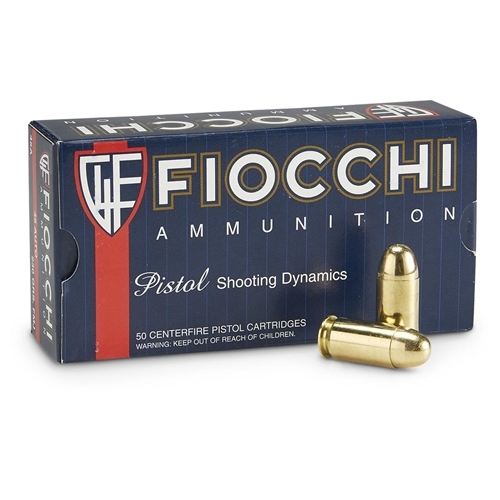 sr4440 wrote: Fiocchi 45 ACP 230 gr FMJ $269.80 per 1k rounds with free shipping. =27¢ per round.